Laying Odds on Semel's Successor for the Corner Cube at Yahoo! After the pre-turkey "Peanut Butter" memo, speculation is swirling on who's in the running for Terry Semel's corner cube in Sunnyvale. Susan Decker: 3 - 2. Positives: Insider; well-respected by most Yahoo!s, well-liked by street. Question Marks: Technical enough?, too 'analysis paralysis'?, technical vision for company. Dan Rosensweig: 4 - 1. Positives: Insider; technical enough background; COO tenure on the surface makes him first in line. Question Marks: Arrongant?, will the Yahoo!s trust/follow him?, too close to Semel? Steve Berkowitz, SVP at Microsoft: 8 - 1. Positives: Knows search from Ask, MSN experience, relevant industry leadership experience with views of big and small companies, learned from Diller, Gates, Ballmer. Question Marks: Vision for company?, What are the big accomplishments he can point to on his resume. Ross Levinsohn, Ex-President of Fox Interactive: 9 - 1. Positives: Great Internet track record: Fox, Altavista, Sportsline; Ideal time in his career trajectory to take that next step; He's gone from Hollywood, FL, to Hollywood, CA, and now he's ready for the Hollywood of Northern California; Available. Question Marks: He's a deal-maker, but can he integrate?, No turnaround experience with a company the size of Yahoo!, Another guy from Hollywood? Would the Yahoo!s get on board? Would this be as attractive to him as starting a hedge fund? Raising a fund while at Fox -- can the board trust him? Shona Brown, EVP BD, Google. 10 - 1. Positives: Rhodes Scholar, PhD, McKinseyite, Best-Selling Business Author before coming to Google -- i.e., bright! ; Been studying/working in this industry for 12 years. Question Marks: Too junior for CEO slot; Why leave when Google's on a roll? Joanne K. Bradford, new head of MSN: 15 - 1. Positives: Got online Ad religion before anyone else at MSFT, helped turn culture around at MSN, big company experience and ad experience, lives in Bay Area. Question Marks: Seasoned enough for top slot?, could use more time leading major team at MSN. Bob Pittman, ex-head of AOL: 35 - 1. Positives: Disciplined; holds others accountable; large media company experience; Internet experience; 53 years old -- still time left on the clock. Question Marks: Does he want to get back in to the spotlight?, His departure from AOL was tied to his lining up with the aggressive AOL targets - credibility with Wall Street? Does the Yahoo! board want this baggage, especially from a competitor? Jonathan Miller, ex-head of AOL: 45 - 1. Positives: Relevant CEO-type experience at Yahoo! competitor; can point to some content innovations and general turnaround of that group; fiercely loved by some ex-employees. Question Marks: Vision? ; too slow; could he gain loyalty of Yahoo!s? Jerry Yang, Chief Yahoo! : 50 - 1. Positives: 1 of the co-founders; well-respected; knows the culture; technical vision. Question Marks: Too junior? (37); Does he want it? ; What leadership experience does he have to take on this role? Jeff Mallett or Anil Singh, ex-Yahoo!s: 250 - 1. Positives: There from the start; Who doesn't love a "prodigal son"/redemption story? ; Yahoo!s would rally round the old guard; Think John Mack at Morgan Stanley. Question Marks: The Board and Jerry Yang would be reluctant to go back on an old decision (although it's not inconceivable, especially if there was board turnover as well); Would the new Yahoo!s rally as much as the old? -- old guard/new guard culture conflicts; Yahoo! is much bigger today than it was and -- as much as I love a "feel good" story -- what have these guys done since leaving to keep their management skills sharp? Guy Kawasaki, The House of Kawasaki: 275 - 1. [Squeaked in ahead of Calacanis.] Positives: Visionary to the extreme; Who doesn't love this guy? ; He's local. Question Marks: Not an operator (but a great blogger); Why would he want the stress - he's got a pretty good gig as it is. Jason Calacanis, ex-AOL: 285 - 1. Positives: Well-known among the Valleywag set; Small & large company experience at Weblogs and AOL. Question Marks: Too young; not ready for prime-time CEO. Marissa Mayer, Google: 10,000 - 1. Positives: Well-known/respected by tech folks. Question Marks: Too junior; little leadership experience. Brad Garlinghouse, Yahoo! VP: No Chance. No board would ever pick him after leaking the memo. I was recently on the show Workopolis TV on Report on Business Television. If you're interested, click here, go to the Novermber 8th episode and go to the 11:45 mark. The Wall Street Journal is reporting this morning that Xie Wen, Yahoo China's Boss for less than 2 months, has quit. It is likely the first sign of internal changes within Yahoo! overall since the 'Peanut Butter Manifesto' made its debut on Page One of the Journal. Yahoo China is of course now owned by Alibaba.com (although Yahoo! owns 40% of Alibaba since last year). At the very least, the departure of Mr. Xie signals internal disagreement within Alibaba. One analyst has speculated that there was disagreement internally about whether Yahoo China should focus more on search versus video and web communities. Yahoo China is trailing Baidu.com and Google badly. Anytime a senior executive departs, it is a potential warning sign that there are troubles ahead. With Brad Garlinghouse's memo coming to light, this management shuffle at Yahoo China is under the microscope even more -- not so much for what it means for Yahoo! 's fortunes in China but whether it is a sign of other changes to come at Yahoo! overall. Over 70% of Breakout Performance readers answering our recent poll said that Garlinghouse's leaked memo was a political move by him designed to raise his profile within and outside of Yahoo! (as opposed to being a sincere attempt to affect change in the company). Many are wondering if Garlinghouse or Terry Semel will go in the wake of the memo. I am all for internal debate, but it's evident that having this spill out into the pages of the business press makes it difficult to keep with the status quo. I recently suggested that it was time for Semel to go and that Susan Decker was the best choice to succeed him. Henry Blodget appears to be on board with this and claims others are in "universal agreement" with this assessment. However, one anonymous commenter to my post (and there was a similar one to Blodget's), who claims to be an ex-Yahoo! exec, disagreed saying that Decker "personifies the term 'analysis paralysis'". Another journalist complained that Decker had already made a major blunder earlier this year, when she suggested that Yahoo! can't win in search. Can Yahoo! win in search? It is probably unrealistic, with the current approach. However, there are always new approaches. Whether the likes of Powerset or others can truly do a leapfrog remains to be seen, but that is the great thing about the technology world -- no lead, however daunting, is ever insurmoutable. 360 degree feedback has been around for some time now. You know it's reached the level of common management practice when it gets featured in Dilbert cartoons and "The Office" episodes. In case you haven't gone through the process, here's how it works. Your boss, your direct reports, and your peers give you feedback on what are your strengths and weaknesses (or "developmental needs" or "opportunities"). Therefore, you get feedback from everyone around you who knows you well -- hence, you're hearing it from 360 degrees around you. When it's done well, 360 programs allow all your team members to improve in key areas that might be limiting their upward career path or actually causing major conflict within a team. When it's done poorly, 360 programs create mistrust, anger, conflict and can leave a team with lower morale than when you started the exercise. The Boss doesn't get involved or discounts the program's importance. 360 programs that get driven by HR without much attention from the boss are not effective. Whatever the boss gives importance to gets the attention of his/her reports. The boss has to be a believer that this stuff helps the team. The 360 tool/questions are too vague. We've seen a lot of 360 programs that consist only of personality profiles. "Are you an ESTJ or an INFP?" "Are you a red or blue color?" It's amazing how popular personality profiles have become. Some people get to be "true believers" in them. However, if that's the extent of your 360 questionnaire, you're likely going to have a hard time translating your team's profiles into specific and measureable actions. Make sure that the tool you select is going to give back actionable information. People offer comments that are personal in nature rather than constructive. Some people have had really bad 360 experiences. These are usually what gets depicted in Dilbert and they usually turn people off on the process going forward. This is a shame. You've got to ensure that everyone understands the purpose of the exercise is to be constructive, not personal. Don't say anything to others that you wouldn't mind being on the receiving end of (assuming it's true). No plan is set following receiving the feedback. 360 data is only helpful to the extent that it gets acted upon and used. The majority of programs we see simply give the feedback and then it gets swiftly forgotten. No plan = no change in behavior. If there is Follow-up post-360 plan, it happens only once. If companies do follow up on the 360 results, it's usually only once. However, behavioral change is hard and takes several reminders. You need to revisit a post-360 plan periodically. We recommend you do it quarterly for two years (at which time, it's appropriate to recirculate the same 360s again to see how perceptions have changed). Lack of confidentiality. People who have never gone through the 360 process before are usually initially worried about how the data will be used and if it will remain confidential. You need to ensure you assure them up-front that it is a confidential process and won't come back to haunt them at performance review time. However, in many of our clients, they ask us to play the role of "coaching" the people through the two-year quarterly follow-ups instead of internal HR people because (1) internal HR is usually busy with other stuff anyway and (2) their people seem more comfortable opening up to an external coach during a two-year follow-up period about how they're progressing on their plan, rather than an internal HR person. Forgetting the strengths and only focusing on weaknesses. We've seen some companies that totally disregard the strengths that get uncovered in the 360 process. The attitude seems to be, "we've got to locate your weaknesses and obliterate them." Type A execs feed on this and usually want to zero in on their weaknesses and also tend to forget about their strengths. The reality is that your strengths are what got you to where you are in your career. Work on your weaknesses but never stop relying on your strengths. If you do the opposite of the points made above, you're well on your way to making the experience a positive one and, more importantly, one that will actually help each person on your team and the team as a whole. When 360s are done poorly, they can be a disaster; however, when they're done well, they can be a major part of driving accelerated growth for a team and an organization. One thing Trish Wheaton has been unable to escape is that every step up the career ladder has eroded the amount of time she has left for the rest of her life. "By the time you are president, you have to recognize that the job is a 24/7 commitment," says Ms. Wheaton, who has been president of Toronto-based marketing company Wunderman Canada since 1998. But she says she didn't want that to happen at the expense of her husband and son. So to take control of her personal life, she literally schedules time in her agenda each day to go home "and reconnect with my family and decompress." But carving out time for a personal life is becoming more difficult for managers and executives, who are increasingly being controlled by their jobs, according to a new study. In fact, the prestige and material advantages of higher job status are being outweighed by the personal costs of moving up the corporate ladder, concludes University of Toronto sociology professor Scott Schieman. He's co-author, along with Yuko Whitestone of the University of Maryland and Karen van Gundy of the University of New Hampshire, of the study The Nature of Work and the Stress of Higher Status, published in the current Journal of Health and Social Behaviour. The study asked 1,000 employees at different levels of responsibility in Toronto businesses to rate their ability to escape the pressures of work in their personal lives. This "work-to-home conflict" was lowest for both men and women in unskilled occupations and was, on average, 25-per-cent higher among managers and executives. And the conflict grows with the level of responsibility. In the survey, 44 per cent of executives said they routinely think about work-related problems while they are at home and 25 per cent said work regularly interferes with their family life. The numbers are almost as high at lower management levels, with 42 per cent of mid-level executives and 41 per cent of administrative professionals saying they routinely think about things going on at work while at home. That compares with 18 per cent of sales people surveyed and 11 per cent of non-skilled workers. That represents a shift from previous generations, Prof. Schieman says. "It was long assumed that people in lower occupational levels tend to have it worse in terms of mental and physical health and job satisfaction because they have less control and authority in their work," he says. Studies done before 2000 generally reported executives had the highest levels of control over their personal lives, because they had power and prestige and could compartmentalize their work and have time for themselves after leaving the office, he explains. But technology has ended all that. "The demands for many higher-status workers are now becoming never-ending. And that's in large part because of things that might be seen as helping people become more productive and efficient, like e-mail, cellphones and BlackBerrys," Prof. Schieman says. "The career message is the nature of the workplace is changing. The things we typically consider favourable work qualities, like a lot of authority and variety in their work and a lot of involvement, come at a price." But that doesn't mean you have to abandon dreams of reaching the corner office to have a life -- as long as you develop strategies to keep the price to a minimum, says Eric Jackson, president and chief executive officer of Toronto-based executive coaching company Jackson Leadership Systems Inc.
"The most important step for executives is to acknowledge that this is a serious issue. A lot of managers don't recognize work-life imbalance and the stress that comes with it until they are told by their spouse that it is creating a problem in the relationship" or by their doctor that their stress is hurting their health, Dr. Jackson says. Once they acknowledge the need to make a change, Dr. Jackson advises overworked executives to set up a plan to create more balance between work and home. To start, he recommends executives figure out what tasks they can delegate to others. "A lot of times people get promoted into executive positions because they are simply very efficient at getting work done. But as they rise in responsibility, they need to realize they may be taking on too much." It's also important to carve out time for physical activity. Being sedentary can result in weight gain and rising blood pressure, but also reduce energy levels, drag down moods and, over time, you are less able to focus your thinking. Equally important is to make a commitment to setting up non-work time at home, Dr. Jackson says. He recommends committing to be home for dinner with the family, and setting limits on work and personal time. He suggests an 8 a.m. to 8 p.m. rule. "Ask everyone in the team not to send messages or expect replies outside of those hours." These are just the kinds of strategies Ms. Wheaton has adopted. She avoids answering phone messages or looking at e-mails during meal times, and tries to clear office problems from her mind as she spends time with family and friends. Crises can still erupt and if a call from the corporate brass comes in, she says "I still have to answer it." But at least she can lead from home. As president, it's her decision alone whether she stays in the office or goes home, Ms. Wheaton says. "So there is still an advantage to being at the top." Define the problem. Write down the issues that cause you stress. Taking steps to reduce these issues will help you relax in your off time. Set a goal. Too often, executives fall into a career path without understanding why they chose it. Ask yourself, "What do I want to accomplish for the duration of my career?" and set goals to achieve it. Stay healthy. Exercise, sleep and a healthy diet should be priorities. You can't keep running without taking time to recharge the batteries. Make time for your family It's not a sign of weakness if you don't pull an 80-hour week in the office. Don't bottle it up. Talk to your spouse and discuss with a trusted friend or executive coach your workload. It can help you frame strategies to reduce the burden. Work with your weaknesses. By recognizing your weaknesses, you can work to improve your skills or delegate tasks to people who are strong where you are weak. Be thankful for what you have. When you get stressed out, stop and ask yourself, "What am I thankful for? That will put things in perspective." I am writing this letter to you as a loyal Yahoo! user since 1996. Who could have imagined that, what started out as an experiment in the Stanford computer lab in 1994, would grow to become what is today a media titan? Who would have imagined that, 12 years later, you would be working in a megalopolis in Sunnyvale, rubbing elbows with heads of state, and -- most importantly -- positively influencing the lives of millions of Yahoo! users? I knew Yahoo! was a special company when, about 10 years ago, I was writing my doctoral dissertation at Columbia Business School on the effects of officers' and directors' backgrounds on their firms' IPO and post-IPO performance. With the help of a couple of Columbia College undergrads, I was coding the IPO prospectuses for all the software and restaurant/hotel chain IPOs between 1994 and 1996. Yahoo! was a different kind of company the moment I saw the two of you listed as Chief Yahoos! on the management team. Since then, you've only gone on to prove to everyone what a special organization is Yahoo! Although the historians might quibble, there have really been two phases in Yahoo’s development as a company: (1) under Tim Koogle's leadership and (2) under Terry Semel's leadership. You both had a hand in selecting these CEOs and both were right for their time. Stability. After the deflation post-bubble, Terry brought a sense of calm and order. He righted the ship when it was needed. Numerous Yahoo! executives complimented how he instituted a number of policies and procedures which helped give a greater sense of stability to the organization. SBC. The first of its kind, Terry played a role in doing the deal with SBC that married Yahoo! 's rich content with broadband. It's proved to be a dynamite deal for Yahoo! in the years since. Media expansion. Terry's brought 24 years of Hollywood contacts and know-how and helped build on Yahoo! 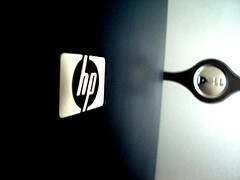 's initial foray into new media and accelerate it. Today, richer content is available on Yahoo! in more breadth and depth that any other site. Although companies like Brightcove and Joost get ink for what their plans are in internet and TV, Yahoo! is leading the way. 'The Nine' is a model of what's to come, as we continue to move forward. Overture. As the WSJ reported, Yahoo! snapped up Overture where MSFT feared to tread. In retrospect, this was a huge blunder for them and win for you. del.icio.us & Flickr. Need we say more? Huge accelerators for Yahoo!, showing how a large platform can take a great idea and move it to the next level. Jack Ma. Alibaba.com's investment was a stroke of genius for Yahoo! from 2 respects. It gave you a foothold into a market leader in China (just as the early Yahoo! Japan-Softbank deal did back in the day) and it gave you (indirectly through Alibaba) a great leader in Jack Ma -- someone who will play a key role as Yahoo! moves ahead in the coming years. Engineering Excellence. Yahoo! has always coveted this trait. It's what made you what you are and is what will see you through the next 20 years. He’s going to be 64 in February 2007. Neither you both nor Terry expected that this job would last 10 years. Five years has been suitable to make the changes he and you both wanted him to make. He has certainly left Yahoo! a better place than how he found it. Now is the perfect time to enjoy retirement, moving back full-time to Bel Air and making a significant contribution to a number of important boards across the country. He’s lost the support of Wall Street. Following last quarter's disappointing results vis-a-vis Google and with Panama's delay, there is pressure from Wall Street to demonstrate that he's in control of this ship. The continued excuses given, and the reports of discontent from within the organization (see below), have exacerbated this problem within the last few weeks. He’s lost the support of the Yahoo!s. Everything published in Valleywag needs to be taken with a grain of salt. Yet, reports of booing within internal company meetings are not helpful. A few weeks ago, we published a post on what steps Terry could take to turn things around within Yahoo! It was surprising to read the number of strong comments that came back from current or past Yahoo!s which displayed such strong emotion against Terry. It's clear the organization would respond well to a fresh approach. The "Peanut Butter Manifesto" is not a direct indictment of Terry, but it is symptomatic of a general malaise existing within the ranks showing that change is necessary -- and now. What Should be Yahoo! 's Phase Three? Let me clear. If a change is not made now, I think there is substantial risk that the organization will be taken out as a stand-alone firm. Microsoft, Comcast, Disney, Google, Viacom, and even News Corp. would love to add this jewel to their collection. I don't believe Yahoo! users, employees, and shareholders would be best served by this. What's more, the hedge funds are starting to circle. There will inevitably be suggestions of their own for what actions to take. You need to get ahead of this train. It's easy to point out problems, but what are some solutions? What is needed now at Yahoo!, beyond just a new CEO for the sake of one, to take it into its third phase of growth for the next 5 - 10 years? Dan Rosensweig will have to go too. Dan has also failed to be embraced by the Yahoo!s. There is a distance which appears to exist. No leader can drive an organization forward when this trait is present and it's a difficult thing for the leader himself to flip the switch on and change. Quite simply, the Yahoo!s will not follow Dan as their leader. He is also seen as too close to Terry. This will be difficult. It was difficult to say goodbye to Jeff Mallett, but it was for the best of the organization. Internal CEO over External. All the academic studies agree that an internal CEO is a less risky proposition than an external one. However, an external CEO is needed when the organization needs a dramatic shift. You both were more than justified to make that shift 5 years ago when you brought in Terry. The environment is different today. A respected internal leader would be embraced and rallied around by the Yahoo!s. You have the perfect candidate within your midst. Don't appoint a COO. Recent evidence exists that appointing a COO is linked to negative firm performance. Apparently, CEOs who appoint COOs are out of touch with some of the important operational aspects of the business. Your continued product leadership will be critical. Most organizations don't have the benefit of the two sage founders continuing to play an active and helpful role. You have made a huge difference to Yahoo! in the last 5 years and you will continue to be strongly needed as we move into the company's phase three, especially on the product side. Elevate more internal talent like Jack Ma, Bradley Horowitz and Brad Garlinghouse. Jack has been a great addition you've picked up through acquisitions and investments (through the investment in Alibaba.com). Bradley is playing an important role with your "talent brickhouse." Reward their hard work and show the rest of the Yahoo!s that success gets rewarded. Don't shoot the messenger with Brad. Thank him for his passionate memo by rewarding him. Demonstrate to the entire organization that Yahoo! welcomes this passion; it doesn't try to snuff it out. Indefinite Moratorium on Celebrity Appearances at Yahoo! The stars of this company are its employees. This isn't Hollywood. This is a business. Celebrities don't bring up team morale; great leadership does. Tom Cruise has left the building and let's keep him and other A-listers away. Articulate the Vision. The new CEO must articulate a definitive vision for Yahoo! As I said above, you have a vast array of assets. You can truly define how we will all interact with the Web and rich content moving forward. Yet, the company's leadership has failed to. Into this vacuum, the Skype guys have wrestled this opportunity away from you and are seen - currently - as the 'thought leaders' with Joost. It's not too late. Take back the mantle by having Yahoo! blare its vision from the hilltops and then achieve it! Streamline, Streamline, Streamline. Kudos to Brad for identifying this in his manifesto. Yahoo! has become bloated and -- consequently -- inefficient. Let me quote him: "• YME vs. Musicmatch • Flickr vs. Photos • YMG video vs. Search video • Deli.cio.us vs. myweb • Messenger and plug-ins vs. Sidebar and widgets • Social media vs. 360 and Groups • Front page vs. YMG • Global strategy from BU'vs. Global strategy from Int'l". Inefficiency = opportunity. Just streamlining these areas alone should go a long way towards the cutting headcount by 15 - 20% that he suggests. Build a Culture of Personal Accountability. This starts from the top, but through effective performance management, challenging assumptions, pushing for change, rewarding success, and learning from (as opposed to burying or chastising) failure, you will ensure that no one at Yahoo! will ever say "that's not my job." Everyone has to have a vested and maniacal interest in seeing this organization achieve its vision. Reconnect with the "!". As companies grow, they must build in process and policies. They cannot operate like a 10 person, 'cowboy culture' start-up. But the best companies remember their roots. Yahoo! has incredible roots. To me, it all goes back to the "!". Somewhere in the last 5 years, Yahoo lost its "!". It's still there and the Yahoo!s need to be reminded of it. When they are, I'm sure they'll rise to the challenge like they never have before. You both control 9% of this organization. You are the co-founders. You have a responsibility to make the tough calls that will ultimately take this company to its next level of development. I applaud your continued passion and the courage you've demonstrated through the last 12 years. We will support you and we will support Yahoo!.... Leadership starts at the top. Update: 6/20/07: In January, we launched a "Plan B" Community to gather Yahoo! shareholders who want to propose a new way forward for Yahoo! which will greatly increase shareholder value compared to the past 2 years. Go here to sign-up to the community: http://www.youchoose.net/pledge/yahoo_shareholders_unite_for_plan_b. You can also read our finalized "Plan B" here: http://breakoutperformance.blogspot.com/2007/02/finalized-plan-b-sent-to-yahoo-today.html. This is the first time shareholder activism has utilized the web, blogs, and wikis. We have a wiki version of the current iteration of our "Plan B" here: http://yahoo.wikia.com . We wish Jerry, Sue, and David the best of luck in this exciting new stage for the company. 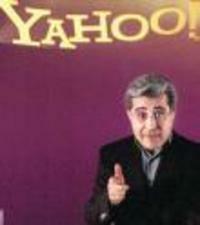 The word is out that the hedge funds are circling Yahoo and Terry Semel. Valleywag is reporting that several prominent hedge funds are smelling blood in the water. Fred Wilson and Eric Savitz picked up on this a couple of weeks ago too. There are many reasons for this, including several suggestions we made a few weeks ago here about steps Semel needed to take immediately to turn the tide operationally and with the hearts and minds of Wall Street. We repeated many of these same comments today in this radio broadcast. What's worse, Valleywag is now suggesting that Semel recently presented Yahoo's strategy to the Yahoos and was booed. Even Henry Blodget is saying it's time for Semel to go. Whether he was or not, Yahoo is attractive for many strategic (read: GOOG, MSFT, Fox, Viacom, Comcast -- even Disney... and don't forget eBay), as well as financial (read: hedge funds), buyers. Great underlying assets + one of the best known brands in the world + well-meaning but ineffective management = great opportunity at $27.40. Look for something to happen, potentially sooner rather than later. Earlier this week, Dell announced that it would no longer place as much focus on its market share, instead focusing on profits. The market cheered this announcement. "Unprofitable growth for the sake of growth is really not a good strategy," said Marty Shagrin, a research analyst at Victory Capital Management Inc. Some of these metrics are more important than others, depending on your industry or stage of organizational development. However, all are important. Organizations do themselves harm when they overly fixate on one and only one of these metrics. To most effectively steer your organization, you need to look over your business as an airline pilot surveys his/her control panel -- constantly scanning a range of indicators. However, too many companies these days -- especially public companies -- are finding themselves caught in "the growth trap." 'We need to grow at [pick a number between 10 - 20]% this year.' Why? I've heard explanations ranging from "we'll be acquired, if we don't" to "our stock price will tank, if we don't keep up this pace." Of course, keeping up a pace of X% a year gets more and more difficult with each passing year. Smaller, tuck-in acquisitions must yield to larger and riskier acquisitions. Few if any acquisitions done in the name of growth pan out. Culture clashes, unexpected surprises that you didn't get what you did they deal, and painful IT integration are some of the most common heartaches experienced for years after these "quick fixes" in the pursuit of sustaining a high growth rate. The truth is that, whether you are Dell or a 100 person company, growth is only sustainable when it is profitable and a good cultural, as well as strategic, fit with your existing business. A pursuit of market share and an outsized growth rate year-on-year is a warning-sign for any investor that trouble is ahead. Although it can't be reported in a newspaper headline, all organizations must focus on all key financial metrics. Progress on a range of metrics is proof that a business is growing in the way that will last for more than a few quarters. It's been 100 days since I launched the Breakout Performance blog. And so far, one of my blog posts has been more popular than any other: Top Ten Reasons Why Large Companies Fail to Keep their Top Talent. This post came about after I read on GigaOM about how a team at Yahoo! (led by Flickr founder Catherine Fake) was working at building a brickhouse around their top talent. Since that story was published in mid-September 2006, Yahoo's stock has trended down from $29 to $26 amid luke-warm results and calls by some for a larger player to snap-up Yahoo! or for Terry Semel to enact changes (inlcuding on this site). There's no question that uncertainty swirling around an organization's future makes it a difficult environment in which to keep top talent around. However, there are solutions. The truth is that Yahoo! is not all that different from thousands of organizations who are desperately trying to think of strategies for keeping their talent. No matter your industry, you know that it's much more difficult and costly to find and train new talent than keep them (just as it's more costly to get a new customer than keep one happy). And the demographics are only going to make this more difficult in the next 5 - 10 years -- over 50% of C-level execs will be leaving their posts in the next 5 years. Set up a Leadership Development Program in your Organization. Most but not all organizations have some kind of leadership development program. Most include some kind of executive training -- either in-house or additionally through B-Schools. The best ones also include some formalized assessment on an executive's strengths and weaknesses at the front-end, some coaching over a significant time period, and a later follow-up measurement of an executive's improvement. Set Developmental Goals for the Executive and Track it. An assessment of an executive is only as good as an action plan that gets devised to address the points that come out of it. The action plan should key in on the developmental areas identified in the assessment. It should be complementary to a regular performance review plan. It's not simply a list of job tasks that need to be done. A developmental plan zeroes in on competencies such as strategic thinking, coaching and team development, and delegation. Once set, the action plan then needs to be tracked regularly -- which leads to the next point. Use Internal Coaches and Mentors. Although external coaches are helpful, the best organizations don't think of leadership development as an outsourced activity. Beyond support from HR, senior leaders should be an active part of the process, as coaches and mentors. For every executive going through a leadership development program, he/she should have an internal coach and mentor. We define a coach as the executive's boss; a mentor should be one-level above the executive's boss. There is critical knowledge that can only be passed on to executives from those inside the organization. Both the coach and the mentor should be aware of the Developmental Plan that the executive is working on. The boss should chat with the executive quarterly about their development plan; the mentor only needs to speak to the executive annually or semi-annually. A final point about mentors: they should never be assigned to an executive, nor should the executive be given free reigns to select the mentor. Our suggestion is that the boss and executive meet to chat about a possible short list of candidates. When they agree on who would make the best fit, the boss should be the one to approach the prospective mentor. This match-making approach seems to work best in pairing up the best possible mentors to executives. Discuss Long-Term Career Goals and build an Action Plan. In many cases, top talent has not worked out a clear long-term career path. For those in HR, this is a major opportunity. The best organizations are arranging "career planning" discussions with all their key people, in order to open the dialogue. Quite often, the executives appreciate the conversation (which happens first with their boss and then, if they are comfortable, expanded to include HR as well). Engaging talent on where they want to go helps to make them understand where they are going. Eliminate Extraneous Meetings and other Bureaucratic Tendencies. In a recent poll, asking for why top talent leaves larger organizations, the #1 response was "big company bureaucracy." Some bureaucracy is inevitable as a company grows. You can't run Google like a start-up. Processes and structure add value, when done well. However, we've all lived through Dilbert-type large company bureaucracy. As someone concerned about keeping your talent, you've got to wage a war against these tendencies. Eliminating extraneous meetings is a great place to start. Never Promote on Potential -- only on Performance. We sometimes get blinded by potential. Certain up-and-coming employees acquire a halo around them and are quickly promoted past their current performance level -- classic "peter principle." Peter Drucker correctly advised, decades ago, that organizations should never promote on potential, only performance. That means, an executive must demonstrate success in his/her current role before moving up to the next rung on the ladder. Many talent, promoted too quickly, will end up failing and leaving the organization under a cloud due to poor HR practices. Eliminate "Deadwood" acting as "Blockers" in your Organization. Too many organizations have important leadership positions filled with "blockers" -- taking up slots that could be more ably filled by other talented people reporting to them. Organizations might be reluctant to let them go because of the cost of letting them go or a thought that "the-devil-you-know-is-better-than-the-devil-you-don't." Yet, top talent won't suffer fools gladly. Organizations need to remove poor performers clogging the talent system or find a different spot for them that plays to their strengths but lets others take over key positions and do a better job. Use a Talent Management software system. You can't change something unless you measure it. There has been a lack of easy software systems to track talent management and development in organization until recently. We have worked with some of our clients on manual systems of tracking talent on an annual basis and it is a labor-intensive effort. It no longer needs to be painful. There are many new software packages available that can do this and integrate with your existing Oracle/SAP/PeopleSoft systems. One I like particularly is Sonar 6, because of its highly intuitive approach to presenting its results. Reward and Recognize, while also Giving Constructive Feedback. There are some bosses who never reward or recognize their talent; others who do it too much with never a negative word. If you treat your talent with kid-gloves -- only praising, never providing constructive feedback -- they will not be getting a balanced view of their strengths and weaknesses. You need to do both on a regular basis. A talent firewall is not built over night, it reguires a series of steps. These 10 will make a significant difference in your organization. Good luck. The effort will be well worth it. Are Angels the New VCs? This week brought the announcement that Charles River Ventures would launch Quick Start -- a more angel-oriented approach to funding start-ups than traditional VC. Combined with the earlier announcement that Sevin Rosen Funds would be returning money to investors instead of putting it to work (and not raising a new fund), speculation has started that the traditional VC model is dead. 1. Large amounts of capital are no longer needed to launch very successful start-ups. Joe Kraus famously opined that it only took $100K to start Jotspot, and $3MM to start Excite.com. 2. The IPO window doesn't exist today as it once did, thanks to Sarbanes-Oxley. 3. There's too much VC money chasing too few deals. Fred Wilson disagrees with this view and correctly points out that people have been complaining about the too-much-money-too-few-deals for 25 years. He thinks VCs will just get leaner and meaner by (1) raising smaller funds, (2) going for $100 - $250MM exits, and (3) doing more M&A exits than IPOs. However, Josh Kopelman of First Round thinks that CRV's announcement does portend of a major shift in the VC market. He points out that angel investing has better risk-adjusted returns over the last decade than any other stage of investing. Plus, a more conservative going-forward assumption would be average exits far south of $150MM. Therefore, there are likely to be more CRV-type announcement from "traditional" VCs over the coming years. Will they be able to do it well? That's less clear. There are winners and losers from these confluence of trends. The bluest of "blue-chip" VCs. The Sequoias and KPCBs of the world shine brighter when the maddening crowd is rushing to chase the latest trend of VC investing. They've been there and done that time-and-again. Existing Angel Investors who have a track-record. When a space gets hot (i.e., angel investing), those who have been there for a while are the old wise men. Josh Kopelman, Jeff Clavier, and others will see a rise for their services even as others rush in. There will be a flight to quality. Traditional VCs who are able to make the leap and really differentiate from other angel investors. Although CRV is a great firm, their success is not guaranteed. They need dealflow; their GPs needs to be seen as credible by non-nascent entrepreneurs; and they really need to be able to deliver value to their investments (beyond the simple "we love to roll up our shirtsleeves alongside our investee companies" platitudes). 2nd and 3rd Time Entrepreneurs: They're even more sought after following this news than they were before. We are heading for a Hollywood-type star system where Bill Nguyen announces his idea for his next start-up at lunch and the deal is done by dinner. Stuck-in-the-middle VCs: Those VCs who do a little bit of angel investing and a little bit of traditional are likely to do neither well. Later-stage/Mezzanine Investors: They just got even less relevant. These are interesting times. Enterpreneurs are more exposed than ever to demonstrate whether their ideas will succeed or not. The same goes for traditional VCs. May the truly value-added players win.